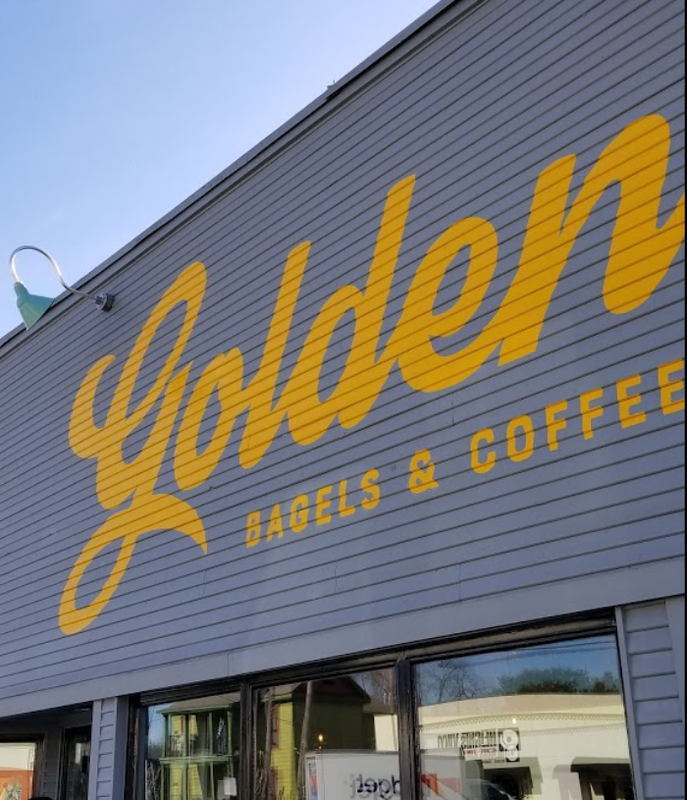 Golden Bagels and Coffee is a new venue, having opened in January of 2018 on White Oak Boulevard in the Heights. The bagels are excellent and are highly recommended. 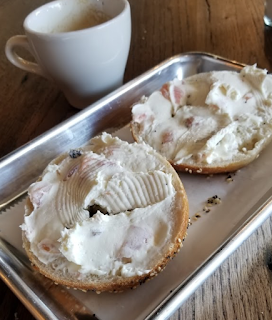 Living near the Heights it has already become one of my favorite destinations, when the urge for a freshly made bagel hits me. Bagels are an interesting creature. There is a bit of complexity to them in that you are going to be creating a bread dough, then shaping the bread into the standard bagel shape, dipping it in a solution of baking soda or lye (similar to what one does for a pretzel), BOILING the dough, and then proceeding with the baking process. That boiling phase does some interesting things to the yeast risen dough, changing the internal structure to a dense, chewy bread.